I am so excited to share a beautiful shop with you all today! 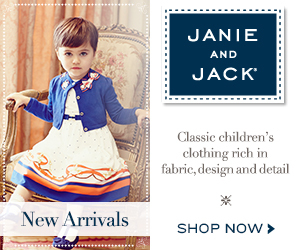 Garden Of Arden is a beautiful vintage inspired accessories shop perfect for little girls. Garden Of Arden was founded in March 2013 by Ashley a mother of a little girl and a passionate of Pilates, traveling and designing. Ashley started Garden Of Arden when her daughter Arden was 9 months old as a little hobby, but little did she knew that her hobby would become a successful shop really fast. Garden Of Arden have the perfect hair accessories to complete your girl's outfits. Their vintage inspired headbands are so cute and chic. I love all the small and large flowers, crowns, metallic, sequins and satin that she uses. A girl can never have too many hair accessories and Garden Of Arden is the perfect shop to buy them. We never leave the house without a headband, bow or a clip. All items are made with high quality fabric and ribbons and the ends are heat sealed to prevent fraying and ensure a long lasting hairpiece. Ashley lined all alligator clips herself to ensure they do not snag the hair on your princess’s head. I am passionate about making that perfect accessory to match any outfit and I love designing custom items. I decided to start this company shortly after the birth of my daughter, Arden. She has been such an inspiration to me and I have loved creating and designing hair accessories for her that I decided to expand and create my own company. Garden of Arden is a dream come true! I want to make sure every customer is 100% happy. I only use the highest quality materials when I make my products. If you do not see what you are looking for, just message me and I would love to create a unique and one of a kind accessory for you! 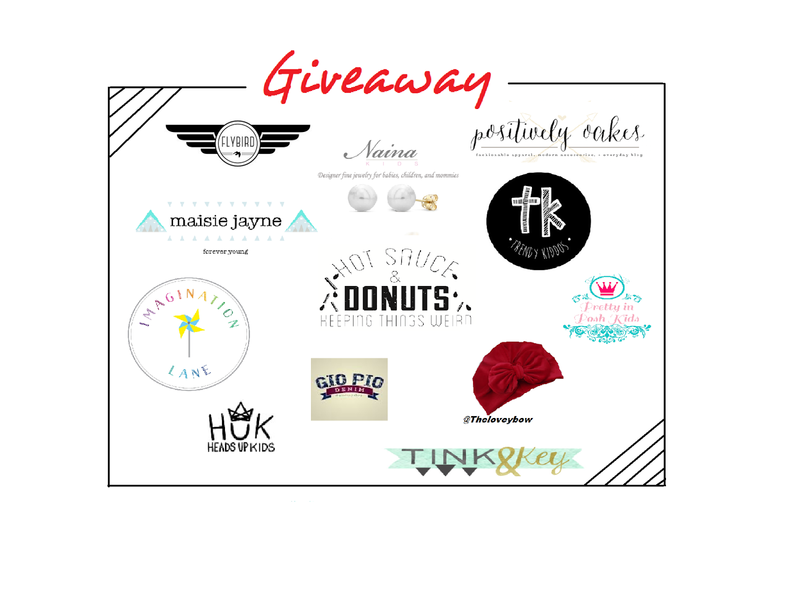 We have teamed up with 11 awesome shops to say THANK YOU to our followers ✌️To enter this amazing Giveaway please follow ALL rules listed below. @nainakids pair if pearl earrings. @theloveybow red velvet turban hat. @imaginationlanenyc one disposable placemat for kids. I am always on the lookout for cute and unique hair accessories for Mia, I love headbands and head wraps since Mia doesn't have a lot of hair jet. Who doesn't like a super cute headwrap or headband? Project Bellasheshe is a cute leggings and hair accessories Etsy shop for kids. We received the boho wrap and we are really happy with the quality of the wrap, is soft, stylish and comfy, perfect for little girls. Project Bellasheshe customer service is great, we got the head wrap pretty fast and Christina is really nice. Project Bellasheshe was founded in December 2013 by Christina a mother of a little girl and a stylist, who was inspired by her daughter to create beautiful headbands and leggings for kids. As a fashion designer I'm always looking for funky, trendy and cool fabrics and Project Bellasheshe has just that. I started Project Bellasheshe in December of 2013 after my daughter was born. I’m a mom, sister, wife and friend with ideas to share with the little beautiful children of the world. My vision was started making simple headbands for my daughter and before I knew it I was up to making headwraps and unisex leggings. I strive to have the best customer service; I interact with most of my customers on a daily basis. Asking for feedback, good and bad. Customer service has all been a big deal for me and it shows through Project Bellasheshe. On a daily bases I feature our product on Instagram and Facebook. It brings me joy to see all of the cuteness shine through their little faces. I’m so proud of how far Project Bellasheshe has comes over these few months and for the wonderful things ahead for us. Everyday I’m more and more motivated on growing Project Bellasheshe. With Keepy you can record yours or your child's voice or create a video telling the story behind each memory, the best thing is that you can share your videos and photos with your loved ones. There is no need of scissors or glue anymore, with Keepy you can create a virtual memory book. Each member of the family gets their very own memory timeline and Fans can show their love by leaving voice, video or text comments on your memories. 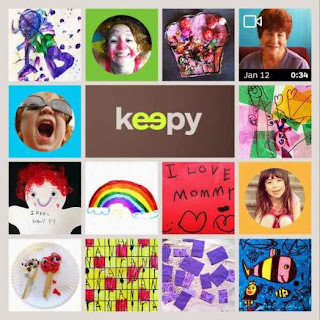 I created Keepy because I wanted to find a way to save and share all of my family’s memories in one safe place: photos, videos, artwork, schoolwork, awards, mementos, and more. My wife, my kids and I add voice and video “stories” to many of our memories to enrich them. And, of course, we share them with our close family and friends so they can comment and add their love to each "keepy moment" too. I don’t want my kids to grow up any faster than they already are, but when they do, they’re going to love to look back at Keepy to see (and hear) the story of their lives. Feel free to email me at any time with questions, suggestions, or just a hello. Thanks again for using Keepy for your family’s precious memories. Every mamma that I know is always on the hunt for a great accessories shop for their little ones, Its not easy to find cool, trendy and fun accessories for kids, but Melissa the founder and creator of Dylan James Kids makes just that. Dylan James Kids necklace and bracelets are super cute and the prices are great! The necklaces are fun and colorful, the silk cord is perfect for the little ones. Dylan James Kids does custom order so you can create your own necklaces and bracelets, how cool is that? I love to support small shop that are so worth purchasing from and Dylan James Kids is one of them. 1. Tell us a little bit about Dylan James Kids e.g. Materials you like to work with, trends, etc. When I started Dylan James Kids, I wanted to make jewelry that is trendy yet never goes out of style. It was important to me that the kids love it as much as the moms. I love using silk cord for necklaces because the colors are vibrant and rich. I have always worked in the fashion industry but when I had kids I chose to be a full time mom. I started making jewelry for my son and daughter and loved that I was able to use my creativity while being a full time mom. Now I am able work while I watch my kiddies play which makes me so happy! I also have the best critics and toddler jewelry testers! Sekilola Shop has the most adorable turbans, we have several and always want more! We are so excited to share a super fun and cool shop with you all today! Who doesn't like a trendy and unique pair of leggings? 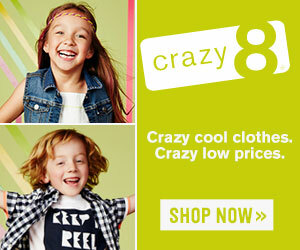 Lookie Loo Loo is a cool kids clothing shop, for children between Newborn-6 years. Lookie Loo Loo is an stylish alternative for cool kids. We are really happy with the quality of the leggings, they are super soft and comfortable, the fabric design is perfect for fall. Lookie Loo Loo was founded in February 2014 by Erica a mother of two little boys and a passionate of fun, Cool and trendy fabrics and prints. I Am a huge fan of leggings and Lookie Loo Loo have some really funky and cool ones. Leggings are made using Organic cotton knit and tees are Printed on American Apparel, which are super soft and great quality. 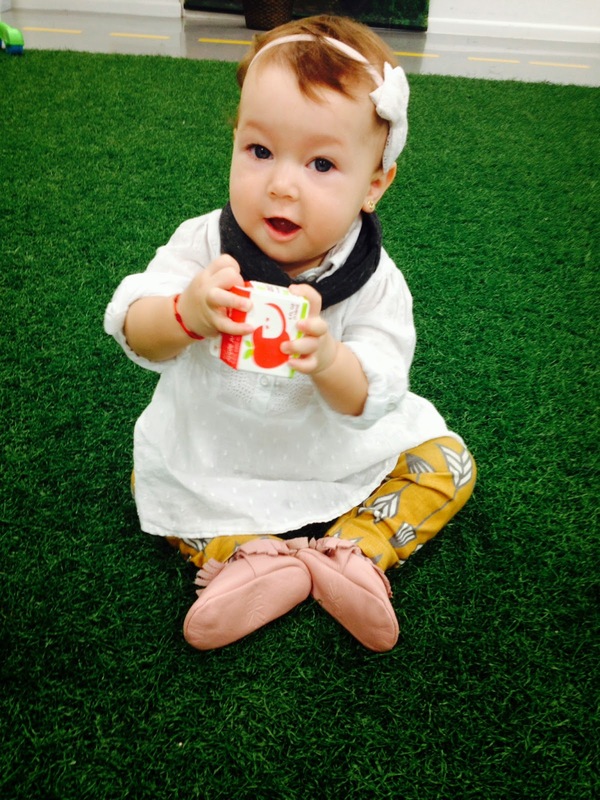 We love that Lookie Loo Loo leggings are 100% handmade. All the tees and pullover that you see in the shop are hand screen print by Erica in her kitchen. 1. Tell us a little bit about Lookie Loo Loo. e.g. Materials you like to work with, trends, etc. I won't use any materials or fabrics I wouldn't put on my own kids. When I purchase new fabrics, I always test them out on my boys first. Everything endures a few days wearing and a couple washes prior to being added to the shop. I love the organic cotton knit for leggings and am stuck on American Apparel for my tees. Both materials are the best I've found for wash and wear. 2. Who is behind Lookie Loo Loo? e.g. tell us a bit about the owner and the reason why Lookie Loo Loo stared. I'm Erica, and the proud mama to 1 & 2 year old little boys. Prior to Lookie Loo Loo, I worked as a marketing director for 10 plus years. My experiences have run the gamut from promotions in the number one radio station in Chicago, to a family recruiter for a foster care agency in Arizona and the first Community Manager for Memphis Yelp. I had to leave the work place when we found out I was pregnant with my second son. There just wasn't enough time in the day for me to devote to both them and a full time job. I fell in love with Etsy back in 2008 as a single, twenty-something female. Once I had kids, Etsy became this brand new outlet for me. I spent hours on the site finding items to decorate both boys' nurseries. My husband kept pushing me to open my own shop, but I never had any idea what it was I wanted to create. When I opened in February, I was doing cardstock banners. I quickly figured out that I needed to learn to sew. So, I took one beginner class that lasted about an hour and took to Youtube to learn the rest. As a mama to two boys, I can never find anything stylish and fabulous for them to wear. I knew that I ultimately wanted to create something for them. I certainly can't be the only mama out there who doesn't want her kiddos wearing the same thing everyone else grabbed off the rack at Target. I was so tired of looking in their closets and only seeing shirts with cars, boats and sports themes. Once I got my sewing down with leggings and skirts, I jumped on the screen printing train, thanks to some pushing and help from a wonderful friend who also owns a shop. I hand screen print everything you see in the shop right in my kitchen. It's mass chaos, and always a fight for organization, but it works! One thing I have to say about this community of hand made shops, everyone is so unbelievably supportive. I have made some of the best friends through Lookie Loo Loo. I joke, and call Stacie Downs from Ahoy Amigo, my "Etsy Bestie." We text nonstop throughout the day and constantly run ideas past one another. I admire her so much, not only because she pushes me to be a better me, but because she's also juggling two kids, a husband who works crazy hours and a full-time business all on her own. Most of these shops are just that, a one woman (or man) show. I'm currently also obsessing over Whistle and Flute, Freshly Picked, Indie Nook, Dudley Denim and Opposite of Far. The best advice I can give is quit comparing yourself to everyone else! I was recently given the advice from a bigger shop, "don't hate your beginning." It rang so true for me. I feel like I am constantly pushing myself to be better and bigger, when in reality, I'm not stopping myself to enjoy it all and take it in. Lookie Loo Loo has only been open for 7 months and is already exceeding my wildest expectations. As a parent, you always hear that you should enjoy every moment because it goes by so fast. These small businesses are in a way, our babies. I feel that advice goes hand in hand with this as well. One day in the not so distant future, you're going to look back on this beginning stage and laugh. You're also going to wonder why you took yourself so seriously. I'm currently struggling with all of that.